When Birdena Oakley-Carlisle was growing up in Detroit in the 1960s, the Motown sound dominated the airwaves. “Everyone wanted to be Gladys Knight & the Pips, Diana Ross & the Supremes,” she says. Oakley-Carlisle, now 65, chose a different musical path. Her music education began in Catholic school, where she sang in the choir and took piano lessons. At age 13, she saw her first opera, a production of La traviata featuring Celeste Cole, an African American soprano. 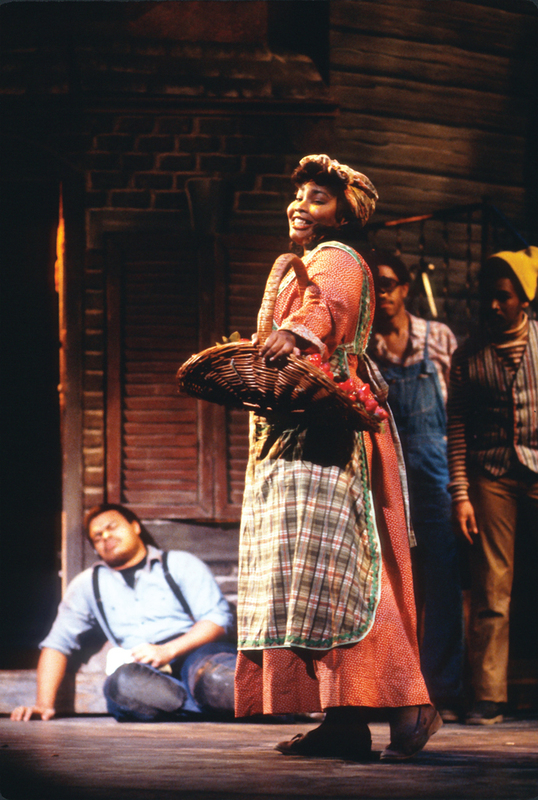 “Seeing this black woman sing a role that was traditionally sung by a white woman—I was taken,” Oakley-Carlisle says. Music also was a way for her to cope with a difficult home life. Her mother had schizophrenia. When Oakley-Carlisle was in junior high school, both of her parents went to prison. She was sent to a halfway house, where she lived until she graduated from high school. “I had to find a way to forget, and with opera I began to lose myself and go into another dimension,” she says. Oakley-Carlisle continued her music education at the University of Michigan, driving a cab at night to pay for school. During that time, she struggled with obesity and turned to drugs to control her weight, beginning a lifelong battle with addiction. After graduating with master’s degrees in music education and psychology, she launched a career as an opera singer in Europe, touring the continent performing roles such as Violetta in La traviata, Mimi in La bohème, and Pamina in Die Zauberflöte. But Oakley-Carlisle’s flourishing career was interrupted when she began experiencing vocal problems. She returned to the United States and moved to Bloomington to study with renowned soprano Camilla Williams at Indiana University in hopes of rehabilitating her voice. But she found out that much more was at stake than her career—she had a cancerous tumor on her thyroid. The diagnosis marked the beginning of a tumultuous period for Oakley-Carlisle. She underwent surgery to remove her thyroid and part of her vocal cords, as well as bariatric surgery to address her weight issues. Her struggles with addiction re-emerged when she was prescribed opioid painkillers, and eventually she found herself in jail facing a lengthy prison sentence for opioid possession. Oakley-Carlisle retired from Centerstone in 2015 to marry David Carlisle and to continue her education. She currently is pursuing a Ph.D. in speech and hearing sciences at IU and certification in music therapy from Saint Mary-of-the-Woods College. And though she can no longer hit a high C, singing is still part of her life. She recently formed a choir called Harmonious Women of Hope for women who are or want to be in recovery. “When we decide to make someone’s life better, our lives become better,” she says.